An 18 per cent hike in rents for student accommodation could see Galway students paying an additional €1,000 for a nine month/39 week lease, leading to warnings that such hikes "threaten the advances our third-level institutions have achieved in recent years". Management at the Cúirt na Coiribe student accommodation estate recently revealed plans to introduce rent increases of up to €1,000 for the coming academic year. In response, an online petition opposing the planned hikes has gathered almost 4,000 signatures. It has also led to condemnation and expressions of concern from local politicians. Labour city councillor, and the party's Galway West General Election candidate, Niall McNelis, noted that with the city in the grip of an accommodation crisis, the Housing Agency recommended that the city be recognised as a Rent Pressure Zone. Under RPZ rules, landlords are constrained in the rents they can charge, with increases limited to four per cent in any year. "The reported increases are far in excess of this," he said, "and possible only because certain student housing developments fall outside of usual rental protections." Cllr McNelis is calling on the Government to bring in regulations which allow rent caps for student housing, such as those already in place "for the rest of the rental market". In a statement on Tuesday, Cuirt na Coiribe management pointed out it advised residents of "rent updates planned to take effect in the September 2018/2019 academic year". It said that from September, a single room in Cuirt na Coiribe will cost €140 per week compared to current rents of €141 per week in Gort na Coiribe; €148 in Donegan Court; and €135 at Corrib Village on the NUIG campus. 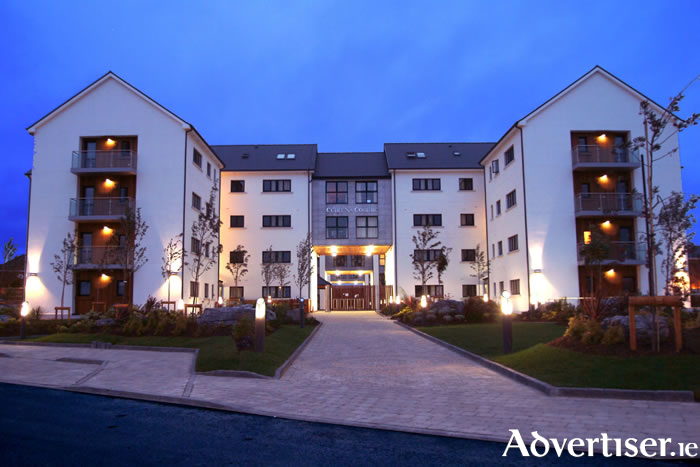 The statement added that, "Existing rental agreements with tenants for the remainder of this year are unaffected" and that the new rents "will bring Cuirt na Coiribe in line with the wider student accommodation market in Galway". Cuirt na Coiribe is also "set to benefit from a €2 million investment programme" over the next two years. This will involve refurbishment to common areas; a planned broadband and WiFi upgrade for this summer; and a "complete refurbishment of the complex" in summer 2019 to ensure Curt na Coiribe continues to provide "superior accommodation at appropriate market rates". Cuirt na Coiribe said it also reduced the upfront booking deposit to reserve accommodation from €900 to €300 to "assist current tenants budget for the new academic year".